William Shakespeare is considered as one of the greatest playwright of all time. Cymbeline one of his many plays I confessed to never having heard of but thankfully read up on prior to watching this film. I strongly suggest doing that to fully grasp the genius of Michael Almereyda's modern adaptation. Though, given the Director's decision to stick with the poetic verses used in Shakespeare's plays, instead of modernizing the dialogue, some scenes may be difficult to understand and appreciate. Strong performances by the cast though helps to smooth this over despite the story being very farfetched. 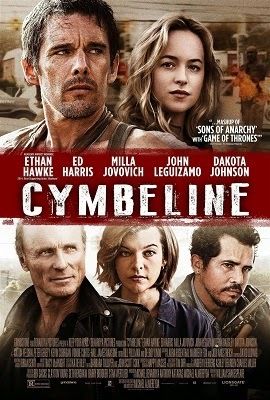 The overall story of Cymbeline is summarized as one of innocence and jealousy. 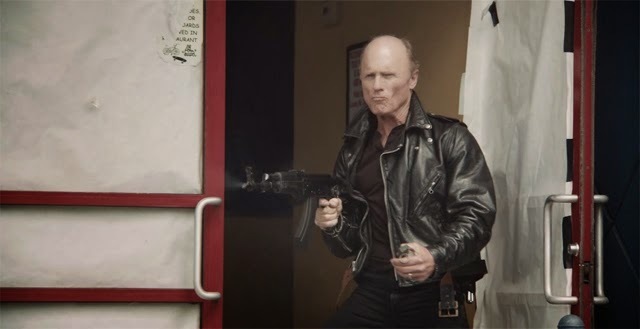 Cymbeline (Ed Harris) is the leader of a biker gang that goes to war with the local police led by Lucius (Vondie Curtis-Hall). 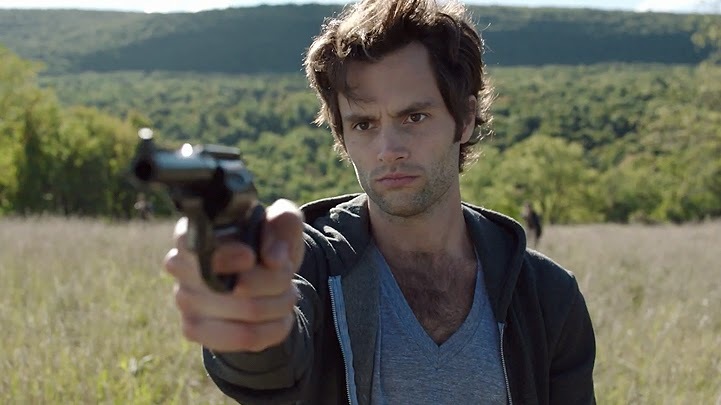 Amid the turmoil there are several sub-stories, central among them is the love story between Cymbeline's daughter Imogen (Dakota Johnson) and Posthumus (Penn Badgley). 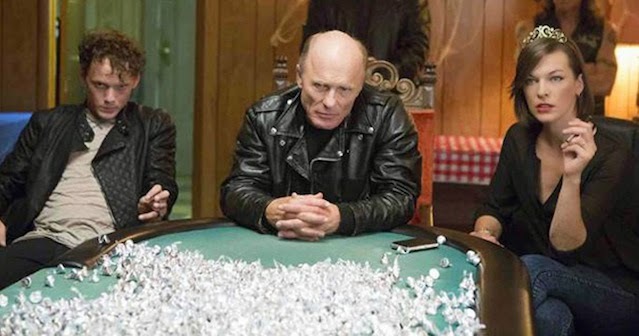 Despite there being many sub-stories they all eventually interconnect, from the villainous wife to the banished biker with two lost heirs not his own. Shakespeare known for his dramatic work is on full display in the movie, with lines that can often be seen as over dramatic. However, the actors' different spin on the characters makes it more delightful with little things like how Imogen comes up with the alias "Fidel." As well seeing John Leguizamo (Pisanio), who has shown that he is adept to being a playwright himself, speaking in verses in his own style is quite amusing. Also among my favorite in the movie is veteran actor Delroy Lindo who plays Belarius. He comes into the movie later on, but has such a presence on the screen. Overall, I would recommend the film though with the poetic English, it may be a turn off to some. Certain scenes I found it difficult to understand what exactly was going on, especially when Pisanio takes off with Imogen. As well, I was bit disappointed in the lack of action scenes especially with the big build up between the Roman police and Cymbeline's gang. The focus is more on the love story between Imogen and Posthumus with the war only as a back drop.